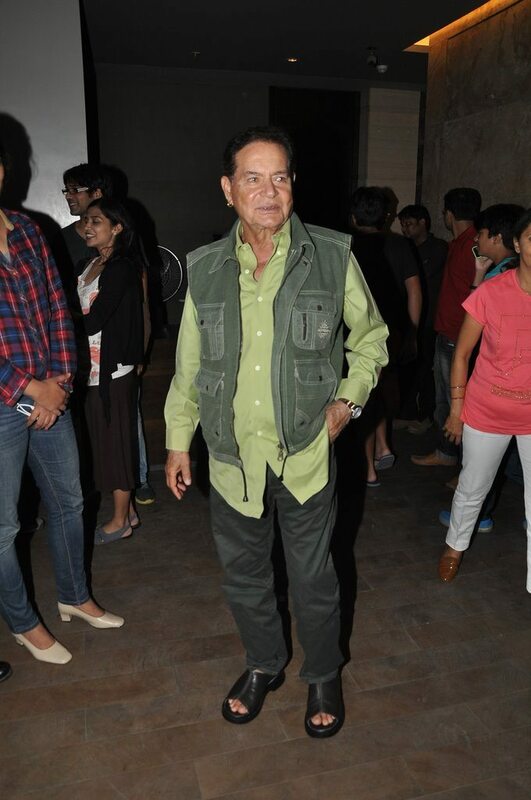 Salman Khan’s father at special screening of Kick. 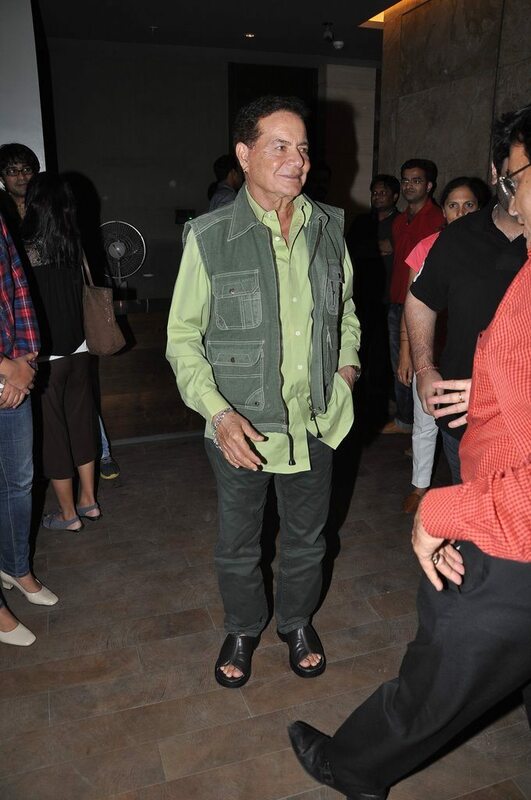 Veteran actress Helen and Salman Khan’s father Salim Khan attended the special screening of the movie ‘Kick’ held at Lightbox in Mumbai on July 24, 2014. 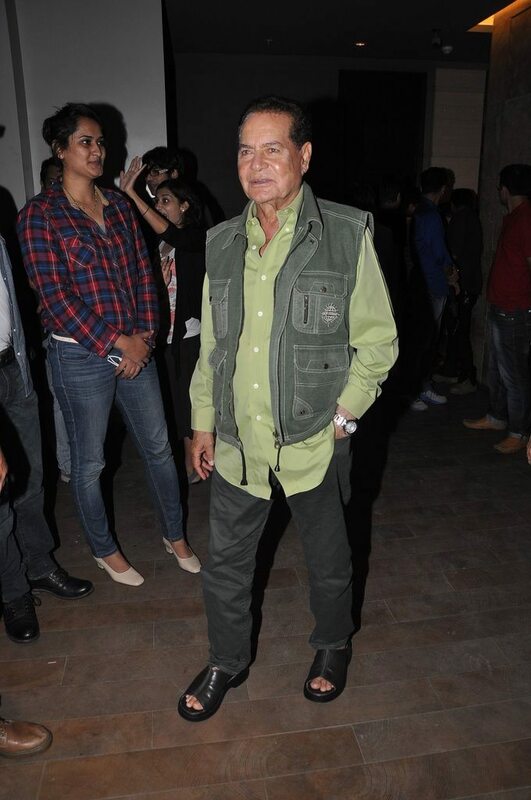 Other stars who were also at the screening included, Shaina NC, Alvira Khan and others. ‘Kick’ is the remake of a Telugu movie with the same name. The movie stars Salman Khan, Jacqueline Fernandez, Randeep Hooda and Nawazuddin Siddiqui. ‘Kick’ is directed and produced by Sajid Nadiadwala under the Nadiadwala Grandson Entertainment banner. Before casting Jacqueline as the female lead, actresses like Priyanka Chopra, Anushka Sharma, Deepika Padukone and Sonakshi Sinha were considered for the role. However, it was Sri Lankan beauty Jacqueline Fernandez who ultimately landed the mega role. 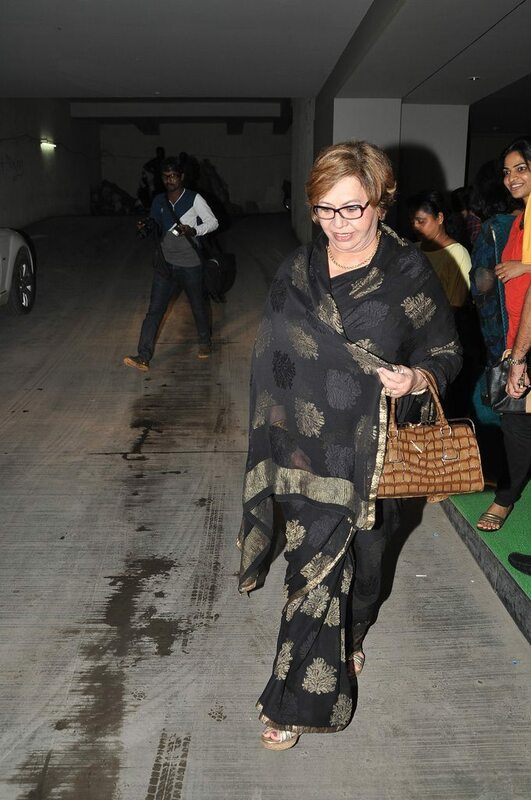 The trailers of the movie look promising and the makers are expecting a good business at the box office.